This means that Google wants to create a universal platform for all users to be able to access information worldwide and Yahoo! Japan utilizes this technology but also provides useful information to the users on their own platform. From its unique objectives, the two companies provide different search engine experiences that create a divide between search engine users. Determining the popularity of the search engines, however, is not as clear-cut as data on page views, market share, and other statistical factors can be prone to bias and therefore are open to interpretation. 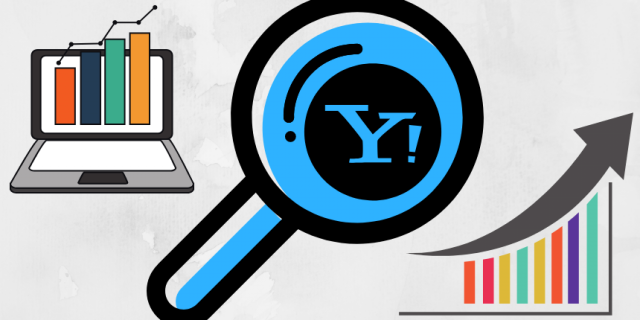 In this article, we will look at the history, past data of market share, and keyword rankings, and compare the similarities and differences of Google and Yahoo! to identify the most popular search engine in Japan. What is the Most Popular Japanese Search Engine? The history of Yahoo! Japan started when Masayoshi Son, the CEO of a multi-national telecommunications company, Softbank, invested in the development of Yahoo! in Japan. The joint force built the corporation in 1996, only after a year of its establishment in the United States. Through innovation and development of hardware products (PC and mobile devices), the company gained a significant increase in the number of internet users within the first few years due to the default browser settings on mobile devices. Despite having top market share, the popularity did not last too long for Yahoo! Japan, as many competitors started to see opportunities in the Japanese market. Since the appearance of Google Japan in 2000, the search engine industry had a compelling impact on the internet. Simple design, yet an advanced algorithm, has lead Google to become the most popular search engine in the world. Rather than competing directly with Google’s advanced technology, Yahoo! Japan decided to implement Google algorithms in 2010 on its own search functionality, to allow users to gain more effective organic results. When looking for the market share and the popularity of Japanese search engines, you will see a variety of sources with different data. In some cases, Yahoo! Japan has the most page views on the internet with over 7.3 billion page views (Google Japan: 4.7 billion page views), according to 2012 data. 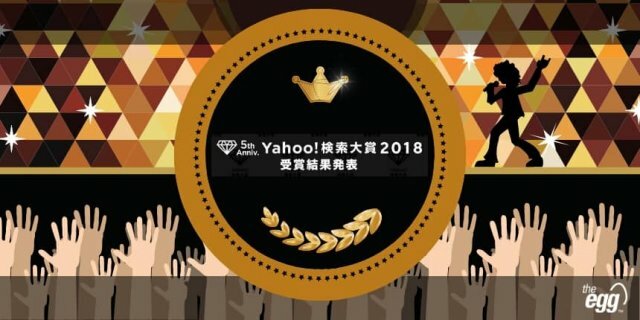 This result may not be a fair comparison as Yahoo page views could also include other platforms such as media and e-commerce websites that utilizes “yahoo” in the domain. It makes it even harder to understand the popularity of both search engines in Japan when although Yahoo! Japan had the most page views on the internet, the data below on search engine market share shows different results. According to StatCounter, the largest market share Google attained on desktop devices was in 2010 with 78.78%. Even though Yahoo! had the lowest market share of 18.6% in the same year, the implementation of Google algorithms and updates on new platforms such as Yahoo! Loco and Yahoo! News helped the search engine close the gap, with its market share increasing to nearly 30% by 2016. Due to default browser settings on popular mobile devices, Yahoo! Japan market share increased by approximately 25% within the six years. Despite the development of Google’s mobile operating system Android, Yahoo! Japan’s joint strategy with Softbank met the users demand to successfully improve the market share on mobile devices. According to the data above, contrary to the page view data, Google is the most popular search engine in Japan on both desktop and mobile. Looking at the past data of keyword rankings, you can see that there are slight differences in search behavior on the two search engines. Since Yahoo! Japan produces its own navigational platforms, users can access general information such as news and weather with just one click on the homepage. However, users’ only option on Google is to manually type the keywords on the search query box, which is why there is high demand for the generic keyword terms “weather forecast” and “news” that may be used daily. The rest of the top keywords are specific brands or products that are commonly popular amongst Japanese internet users. The data below shows the top 10 keyword rankings of Google and Yahoo! Japan in 2015 and 2016. The only major difference is that top keywords on Google consists of gaming apps like Monster Strike, Puzzle & Dragons, and Pokémon Go. On the other hand, Yahoo! Japan includes more of video hosting platforms such as YouTube, DMM, and FC2. In addition to keyword rankings, we can take a look at the similarities and differences between the features of Yahoo and Google. Through our comparisons, you will be able to see what makes these two platforms different from one another and why there is a division among Japanese internet users on what the better search engine is. Since Google and Yahoo! Japan utilize the same algorithms, the listings displayed on the SERP features are mostly identical on the first few pages. Looking at this example of the search term “海外旅行” (Overseas Travels), the top three ranking pages are exactly the same. The implementation of Google technology across the search engines has led the two companies into an anti-competitive market that provides users with the same user experience. Here are some of the other similarities between Google and Yahoo! Japan. Both Google and Yahoo! Japan display 10 (or less) universal organic results per page. The reason is to improve user experience by making the loading speed of a landing page as fast as possible. According to Kissmetrics, almost half of the internet users will abandon a website if it takes longer than 3 seconds to load. The screenshot below shows the SERP structure and design of both search engine platforms. The red section includes the organic search results that have similar or the same rankings and the blue section indicates the differences in vertical search results. Side note: The number of listings can be changed by going to the search settings on both platforms. Google allows any user to change the default settings but Yahoo! Japan only allows account users as shown below (“Login is required to change display”). The basic SERP are often displayed with a title tag in blue, landing page in green and a meta description in a simple format to give information regarding the landing pages. As you can see below, Google and Yahoo! Japan have the same SERP snippet features (search result: H&M). The search query keyword is in bold to indicate the relevance of the content on the page. Both search engines have an online advertisement service that appears on their SERPs, limited to less than 4 ads at the top and bottom of the search results. Google AdWords and Yahoo! Promotional Ads generate similar features such as the maximum length of the titles and descriptions. Nevertheless, there are also many differences on the management platforms. So, if you are interested to know more about the online advertisement service on search engines in Japan, please have a look at our article on paid search platforms. Sitelinks are an important feature to improve traffic and conversions on a website. It provides an efficient user experience by guiding the users through a shorter conversion funnel. With the amount of space sitelinks create on the search results, it can also increase brand awareness and the CTR (click through rate). Google provides a meta description below each link to give a brief information on the specific landing page. Yahoo! Japan, on the other hand, only generates the title of the page (like the sitelinks Google used back in 2007). Assuming Google adopted their sitelink algorithm updates to give users a better internet experience, Google’s description below the link may have a better impact than Yahoo’s simple sitelinks. Since there is no performance data on the sitelinks in the Japanese market, however, it is hard to conclude whether the descriptions are influencing the number of clicks. Make sure the site structure is clear for the search engine to crawl and index. Submit the most updated XML sitemap on Search Console. Implement schema mark-up on HTML. Sitelink Search Box is also another feature that might increase traffic to your website (Yahoo! Japan does not provide this feature). Instead of navigating through multiple links on a site after finding it on the SERPs, the users can directly search within a site with the search box. For example, when searching for a specific motorbike by Honda called “CB400”, Google generates an operation search using site:honda.co.jp with the keyword term CB400 as shown below. Knowledge panel offers an overview of information related to a search topic, from basic restaurant information to a summary of a movie. When typing “Titanic” in Japanese on both platforms, Google indexes facts regarding the history of the famous ship that sunk in 1909, whereas Yahoo! Japan displays the movie starring Leonardo Di Caprio and Kate Winslet. In addition, Google displays basic information from Wikipedia and a suggestion box for a more specific search term. Yahoo! Japan indexes videos from authoritative sources like YouTube and Nico Nico Douga for users to have a quick view of a related video. However, instead of displaying videos on the knowledge panels, Google generates the videos in the search results as shown below. Although Yahoo! 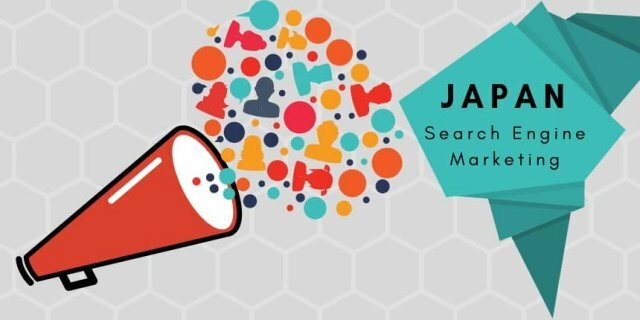 Japan has the same algorithm technology on the basic search results, the differences in SERP features such as the sitelink extensions show that Google provides more informative results to the users. The frequent updates on new features are usually utilized in Google months before Yahoo! Japan’s implementation. This indicates that Google is ahead of its game in the search engine industry in Japan. The StatCounter market share data also suggests that Google has more users domestically, which shows that Google is the most popular search engine in Japan. If you were to choose between the two most popular search engines, what factors would you value the most? Yuji is a digital marketing executive working on both Japanese SEO and PPC projects at The Egg. Having spent most of his education in Singapore, Yuji returned to Japan to earn his Bachelor of Business Management at Ritsumeikan Asia Pacific University. He was previously a marketing and sales assistant at Rejob, a recruitment firm that focuses on beauty and health care industries.